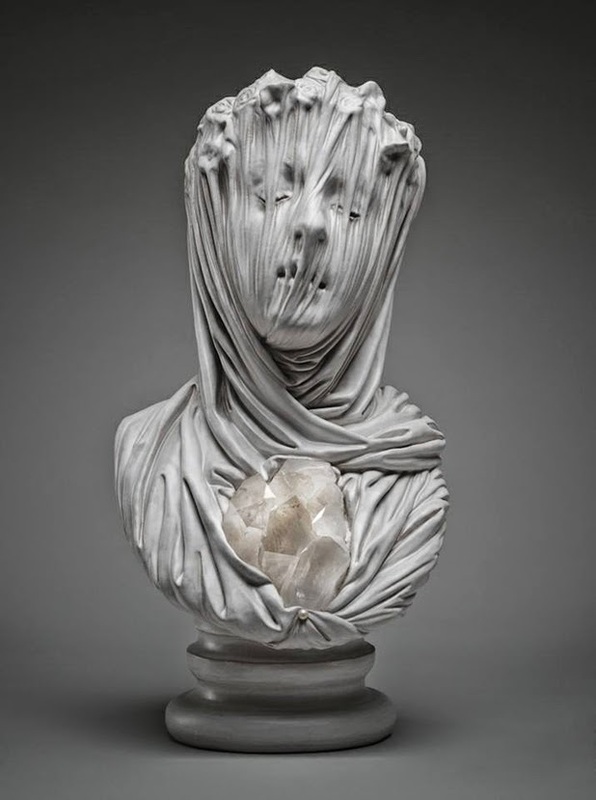 Inspired by the sculptures in the Sansevero Chapel in Naples, Livio Scarpella creates work in the sensibility of the great masters. 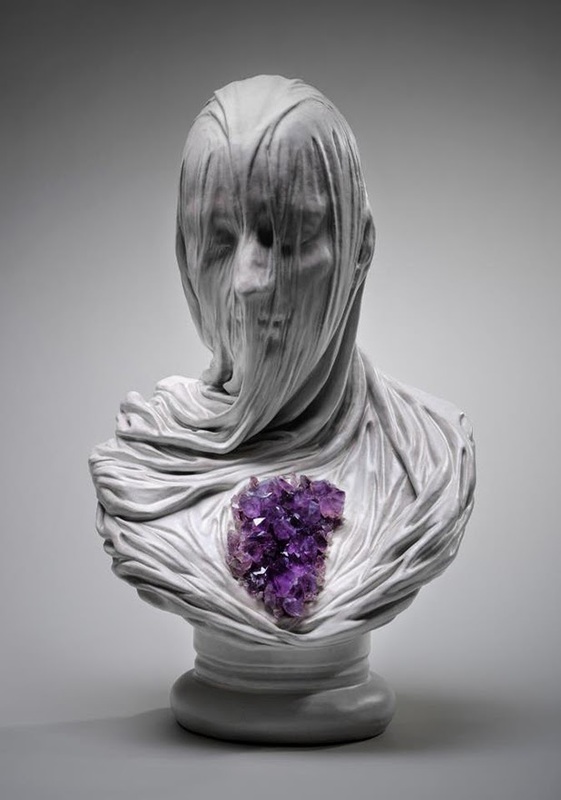 Scarpella maintains the soul of the classics in these works, matching the light and dark color of the figure, respectively with amethyst or quartz. 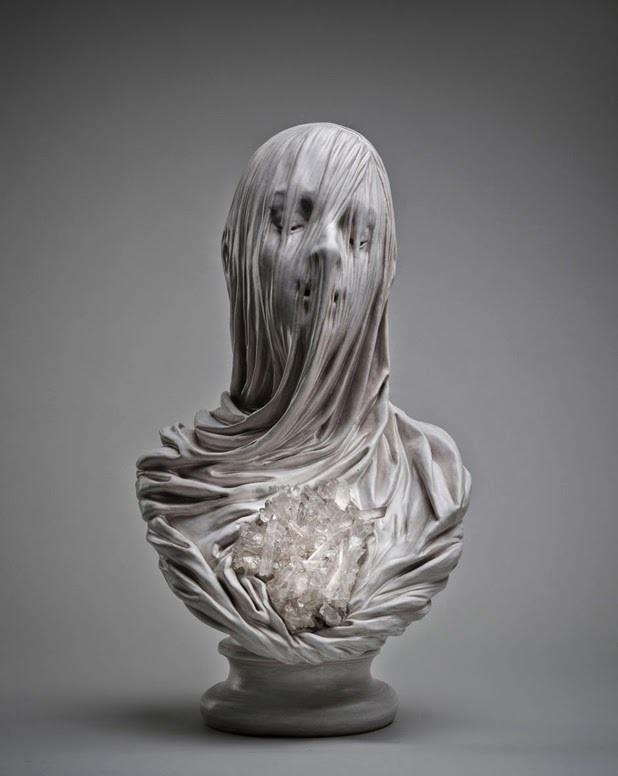 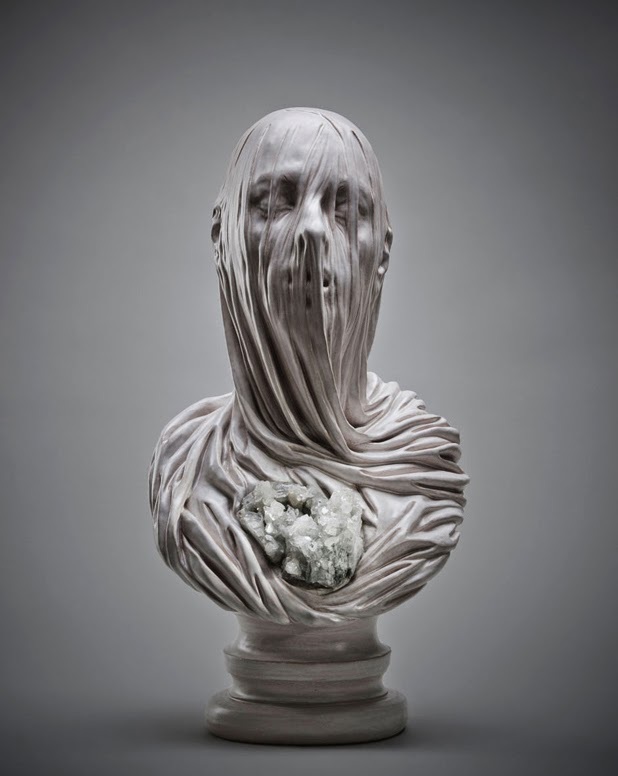 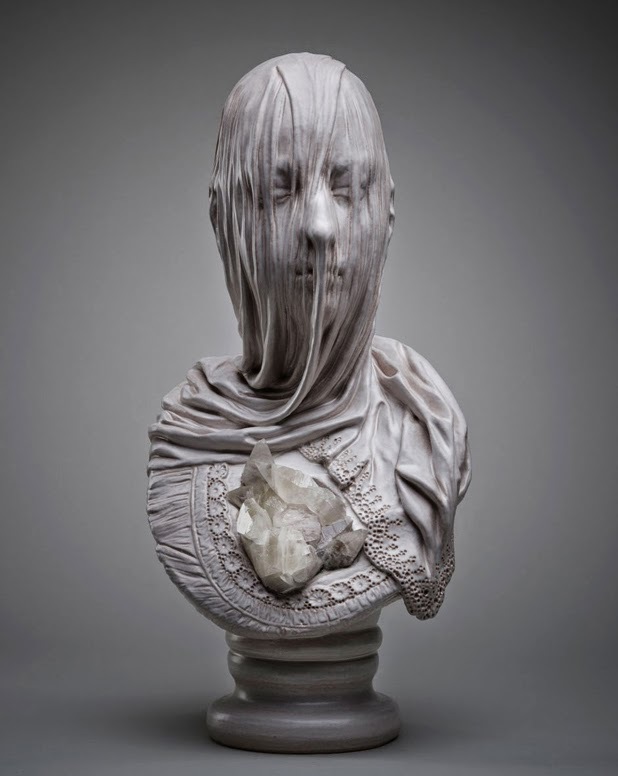 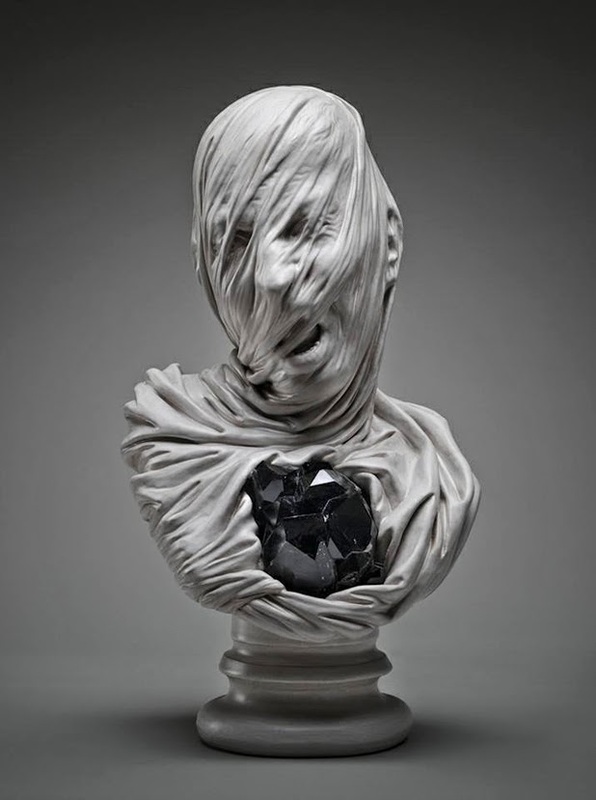 Reminiscent of Michelangelo’s The Prisoners, these gentle busts unveil the ghost within.